A discussion on the most popular diets in society and how each have some merit to them. While no diet is perfect, there can be positive aspects that you can pull from various ones to shape your own dietary lifestyle with. The perfect diet doesn’t exist. Instead, every diet out there has some positive attributes about it. Or at least that’s what I think. In the past I’ve done in-depth posts on various diets and nutrition trends out there. In my Focus On series, I tried to remain pretty objective and just state the facts of different eating styles so you could get an idea of what they’re all about. In other instances, I’ve been a little more critical and outright said why I don’t necessarily agree with a certain diet. The underlying theme of all of this research and all of these different posts has been: you have to find what works best for you. It’s simply said, but much more difficult to actually discover. Especially when you’re constantly being hit with the latest diet of the stars, the next Dr. Oz fad, or the most recent craze sweeping your CrossFit box. Today I want to offer you a new perspective on how to approach your diet. Even though it may seem in the past that I am completely against certain lifestyles….I’m not. Nothing is black and white, and I think that almost every eating approach has some redeeming qualities to it. The whole concept may not be spot on and may not fully work for you. But by incorporating the best components of different eating styles, you can craft a well-balanced, mindful approach to eating that gives you the best of the suggestions that are out there. Today I want to highlight a few popular diets that are out there and the parts of them that I find can be incorporated healthfully into your life. I think if you can incorporate some attributes of a bunch of different diets, your life will be that of the ultimate Flexitarian. That’s pretty much what I would consider myself. I’ve said it before but I’ll say it again, my diet philosophy is as follows: eating whole foods from the earth and incorporating foods from every food group in moderation. Nothing is off-limits and my focus is on eating as close to nature as possible. Does this mean I swear off packaged foods? Nope. Do I not eat sugar? Nope. Do I eat meat? Yes, just not red. Eating this way allows me to eat what I want based on what seems good in the moment and also to eat what best nourishes my body. Lucky for me, my tastes and preferences tend to veer towards things that are naturally good for my body! But if your palette differs, use these dietary principles as a blueprint for finding what works best for you in terms of enjoyment and health. Where those two things meet is where you’ll find ultimate satisfaction. Do you believe that one diet is inherently better than another? What is your ‘food philosophy’? Thank you so much Kaylin! I appreciate the shares! Loved this!!! Myself I don’t want to put names on my diet. I always try to make the best choices possible and eat to feel good and have energy. I would say that I follow a clean eating/mediterranean diet. My heart, stomach and mind are happy with that! Thats awesome that you’ve found an approach that works for you! Diet labels drive me nuts! Why do we need a label for what we eat?! I eat gluten free, but only because I’m a Coeliac but then can’t eat heaps of “healthy foods” like tomatoes and citrus thanks to food intolerances due to gluten damage so I eat what I like to call (whenever anyone asks me “what” I eat) “the Kristy diet” – foods that I CAN eat (that don’t make me sick! ), lots and lots of fruit and veggies, a little bit of meat (only because I’ve never been a meat fan), dairy, nuts, legumes, whole grains and sweets in moderation! I eat what I feel like at the time and don’t stress myself over macros or food rules or silly things that truly aren’t worth the hassle! You really just need to do what is right for you and your body – and that’s different for everyone! I love that! Having your own specific diet is what its all about! We are all so individual that labels seem stupid…aside from ones that are medically necessary of course. I havent but that sounds really interesting! Ill have to check it out! I’m with you on being a flexitarian. I hated when “clean eating” became a set thing since I’d always used the term to mean “clean up my diet a bit”. I have too much of an inner adolescent to follow any set diet for long, telling me something is off limits just makes me want it more! Agreed! I think ruling a food or food group out completely is just a hidden form of restriction! Agree… there are redeeming qualities about most diets out there and what I’ve learned as an RD is to be open minded in my approach to help someone reach their goals… while my maintenance approach is ideally the same (ie- intuitive eating), not everyone starts in the same place and I’ve come to accept that different styles of eating can work to reach goals and the fun part is joining in on the adventure with them!!! Yes keeping an open mind is so key when it comes to diets! yes and yes! I completely agree that there is no one right diet. Every person is different and different things work for different people. My food philosophy…all foods fit! I eat intuitively and allow myself to have what I want without restricting. I love the post and totally agree. We all need to find what works best for ourselves and be in tune with our bodies. There is no perfect diet, just like there is no perfect weight or perfect figure or perfect workout! I love this! Thanks girl. Thanks Carly! Means a lot coming from you! Great post! I’m a firm believer there is no such thing as a perfect diet. Diets are temporary. For myself, I follow a mix of all these things. There isn’t a one size fits all and everyone have to find what works best for them. I agree completely. There are many aspects of different diets that I LOVE but I don’t follow any specific “diets.” I just try to eat mostly healthy foods by focusing on fruits & veggies, healthy proteins, and whole grains in moderation. I try to keep sweets limited… although that is hard this time of year!! Same here! Mostly healthy with a few treats now and then! Officially I follow Weight Watchers, but I’m probably more a clean-eater than anything else. I don’t buy into the fake food products that WW has on offer. I would rather just eat good, nutritious food that serves a good purpose. As I am trying to lose weight and I am a lifetime member, I go to meetings and keep track of my intake the WW way. I’m probably NOT your typical weight watcher though – I don’t “spend” my points on sugar, alcohol or fake food (generally). I do like different aspects of different diets but ultimately I just want to eat clean and healthy and put food in that will help me become a better runner and ultimately keep me living longer. I think thats a great approach! Tailoring WW to suit your own tastes and preferences! Thats great that you’ve found a balance that helps your digestion! I am a vegetarian leaning towards the more vegan side of things because of a lactose sensitivity. I have a whole foods, plant-based diet- 95% fruits and vegetables, whole grains, and some room for treats. I just listen to my body and eat what feels right. Great post, though- definitely agree that the perfect diet doesn’t exist! what a great post! i completely agree! different diets have different pros and cons. Thank you Caralyn! Love the spelling of your name btw! Really great. I think diet wise, it’s one of those things that every person has to decide for themselves. I’m pretty flexible with my diet, but I have a lot of friends who are vegan, or paleo, or vegetarian for a bunch of reasons and I try to respect what they do. I think people should be careful about rules unless they’re medically necessary. Great post! I agree totally, that there are positives to all of these, and with you that you just have to take the parts that work for you. I think a lot of folks who choose one specific diet like to have it simplified with black and white rules. The way you and I do it, it is harder, but more sustainable. Great post. So glad you brought this topic up. Thank you for stopping by to read it Katie! I agree that there is no one perfect diet….we all have to find out what works best for each of us! flexitarian. Woohoo I have a home! I love the ideas behind so many of these lifestyles so glad I’m not the only one that picks and chooses from each! Thanks for breaking this down! Oh yes! Youre among friends! I honestly have a hard time picking & sticking to a “diet” I usually fall off after a week or so and my work schedule makes it hard to stick to perfect meal planning. I’m trying to find balance but I am truly struggling – when I didn’t have my current job I lost 30 pounds and now my current job exhausts me to the point where when I’m not at work I don’t want to work out and I eat random meals at random times, plus I end up feeling extremely sick at the end of everyday. I really need to find a schedule and meal plan that works for me. Maybe you could be of help?! Thank you Amanda! As much as I’d love to give you some advice, I am not an RD so I wouldn’t feel comfortable giving you a mealplan without having the proper credentials to back it up! All I can say is that if you’re struggling with fitting in exercise, try to work on your diet! Our weight is much more greatly affected by what we eat than how we move. So just focus on eating whole foods every few hours to boost your metabolism and keep your energy level. Stick to complex carbs, lean proteins, healthy fats, and lots of fruits and veggies! Try to pack food with you to take to work so that you’re not reaching for the less than healthy stuff when you’re hungry. Hope that helps! I agree. There’s no perfect diet at all. The efficiency of the diet depends on how you follow it. I agree there is no perfect diet. I scoff when I see the latest, greatest fads that promise people miracle weight loss. I tried what seems like every diet known to woman in my 20s. I learned that I don’t do well when I restrict entire categories of food from my diet. I end up fixating on that food e.g., Atkins Diet or any no-carb/low-carb diet. Now I practice portion control and eat what I like with a focus on getting lots of fruits, veggies and fish. I’ll eat burgers and fries too, just in moderation. It’s worked well and doesn’t make me a crazy person. So true! 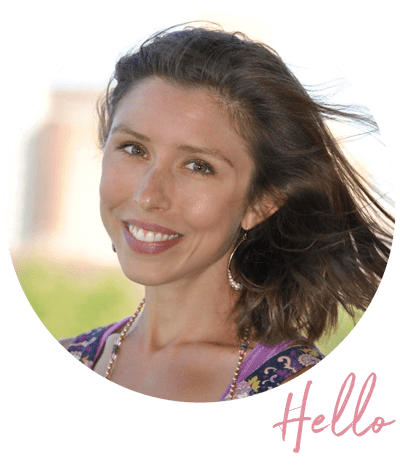 I eat gluten free because of celiac disease, and I experimented with going paleo or vegan after my diagnosis – mainly because I wanted to find out how to feel good from food again. Now, I focus on lots of veggies, fruits, and avoiding ingredients in large amounts that don’t agree with me (like dairy and eggs). But I still have homemade granola everyday, and am eating more processed foods than before. And you know what? I’m still healthy! YES exactly! I totally understand having to choose a certain diet for health reasons…but if you’re just looking to be trendy or follow a new fad that’s when I think dieting mentality can become dangerous! Happy you found what works for you! Thanks Em! You’re right…everyone is SO different!! Totally agree with you there! So many more yummy possibilities when we don’t label our diets!! I must be a flexitarian too, I eat a bit of each diet. Mostly fresh, rately premade or processed. But I don’t think I could live without cheese. Yes a mix of everything is good! This is a great post and thanks so much for sharing it with us at Full Plate Thursday. Hope you have a great week and come back to see us real soon! Thanks for breaking it down! Great info! Thank you for sharing on Merry Monday! Have a great week! So welcome! Glad you enjoyed the post! You sound like you have a very balanced approach to food and fitness!